servings per day provide 507kcal. "OK for a ketogenic option"
I’ve had the change to test both KetoGenesis Premium and Standard shakes a short time after they’ve launched them. Way back, the person behind the company offered the chance to order the first batches via e-mail. First, I want to point out that the creator of this product is an extremely kind person and active in many lent-communities. He tries to keep up to date with the latest news in health & nutrition and I can see that a lot of brainwork went into the development of all his products. Also, the first parcel with my order got lost by the carrier and he was kind enough to investigate and provide a replacement in no time. In regards to the product, I appreciate the care it has been put together with. Packaging is great and you get all the information you could ever wish for. There is a huge variety of flavors (that comes with the protein powders used) and nearly every nutrient has been taken care of. Since it’s a very fine-grained powder, mixability hasn’t been an issue. However, this is also the part where things get a bit more complicated – you have to add your own source of fat. That extra step requires you to carry around a bottle of the stuff if you want to use it at work, etc. Also, finding a proper source (i.e. one that doesn’t need cooling) that doesn’t affect the taste too much can be difficult. I’ve tried olive oil (meh), smaller amounts of mct (ok, but obviously you are limited with that) and heavy cream (quite good). On the plus side, you get to control the calorie count. Regarding texture, this is equal to your average protein shake. Same goes for the taste. I’m a bit disappointed to see that they used Sucralose as sweetener. Together with the artificial flavoring, this is way to strong & sweet for my taste. 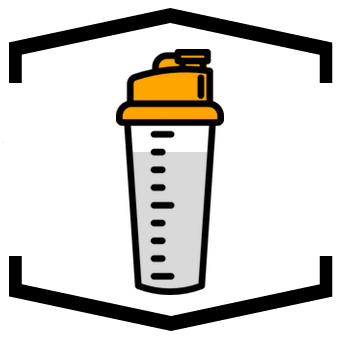 Depending on how much fat you dump into one of these shakes, they can be more than satiating. Once again, can be both good and bad. Also, from what I’ve seen so far, the difference between the Premium and Standard versions is mostly the protein powder composition and flavors available. While premium is whey-only, the standard edition incorporates some cheaper sources like soy. All in all, I’ve really mixed feelings about this. The decisive point for me was that mixing the fat source in separately was just too much of a hassle. Also, given that you still add that on top, the price tag actually isn’t as cheap as it looks. Maybe give this a try if you are looking for a European keto lent.